See the holiday homes in Eze - Cote d'Azur on a map - click on the map! 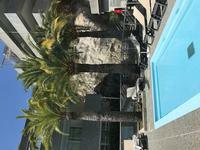 Super holiday apartment for 4 people in Cap d'Ail between Nice & Monaco. Large balcony with awning. High and undisturbed in the complex with 180 degree views of the Mediterranean Sea. Bedroom with sliding door to the living room with a sofa bed for 2. 4 persons 1 bedrooms Dishwasher Washing machine Pool Distance to beach: 700 m.